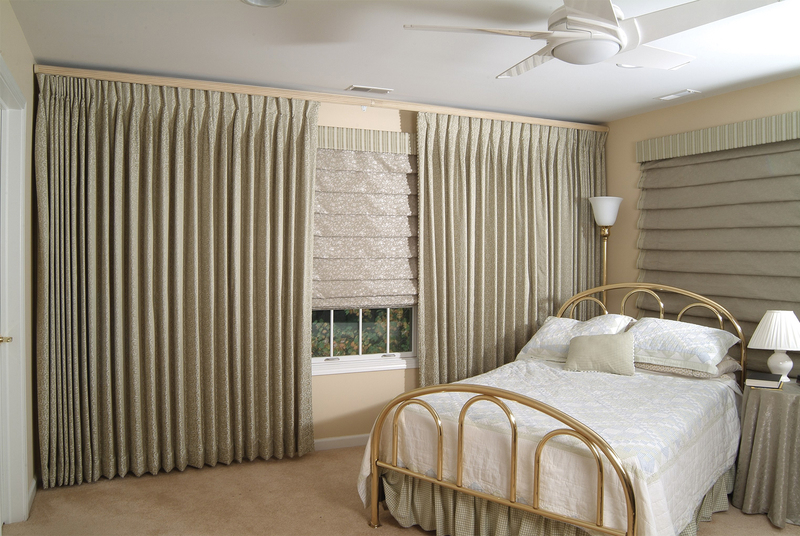 Inverted Pleat draperies are contemporary. Only to be used as stationary framing panels, this box-esque pleat is a stylish new twist on traditional pleated drapery. The pleats are hidden behind the straight flat boxes across the top of the drape.